unTapped Topic: I Pledge Allegiance? As American citizens, we give our allegiance to the flag and to our country. Some people of faith, however, feel that giving allegiance to anything but God is a sin. There is some legitimate textual evidence behind this. The Torah forbids oath taking in Deut 23:23. In the Christian New Testament, Jesus speaks sternly about pledges and oaths (Matt. 5:33-37). What do you think? 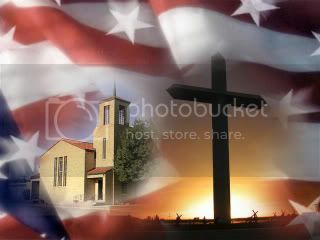 Can people give their allegiance to both God and country? Join us for the conversation, 7pm this Thursday at Shorts Brewing, downtown Bellaire. unTapped Topic: What is Faith? Sorry I am late getting this out. Tonight's topic for our unTapped conversation will be the question "What is Faith?" Now this may seem like a very obvious and short answer to you, but others will undoubtedly see faith in a very different way. For instance, some people equate faith with a religion. Others, think of faith in terms of their personal spiritual experiences. Is faith possible outside an organized religious/theological tradition? What is faith and what does faith mean to you? That is the topic tonight at 7:00pm. Join us at Shorts Brewing in downtown Bellaire!